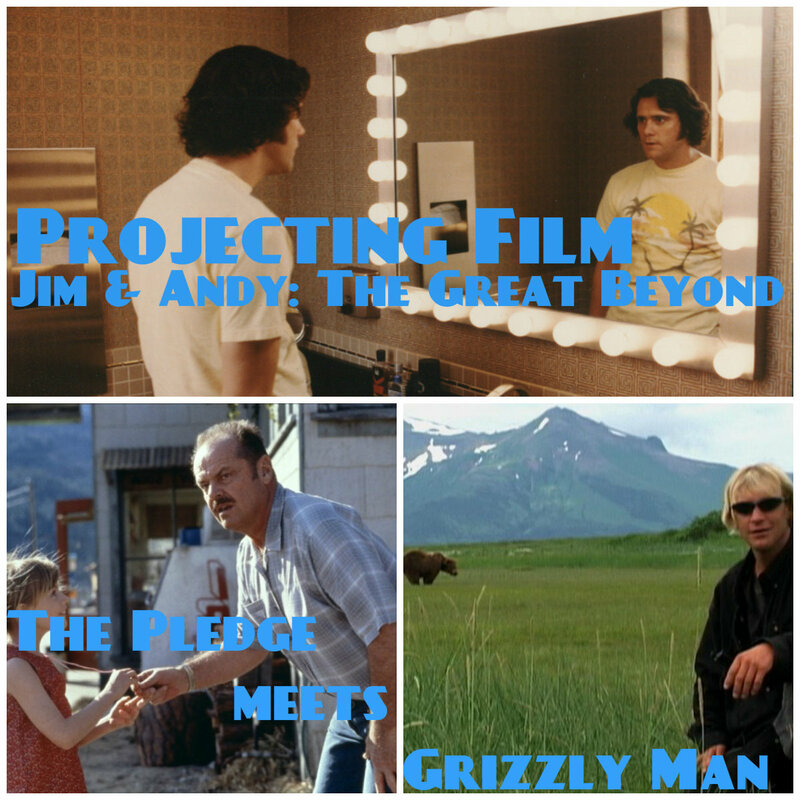 Look ahead to the great beyond of 2018 with the Netflix documentary JIM & ANDY: THE GREAT BEYOND... and also this latest episode of PROJECTING FILM. If you do, you will hear us talk about not only the darkness of Jim Carrey going full method for his portrayal of Andy Kaufman in MAN ON THE MOON, but also your hosts Chris and Mike competing on who can bring the darkest film to the table. In THE PLEDGE, Jack Nicholson commits his life to finding a child killer, while in GRIZZLY MAN Timothy Treadwell goes to his death living with and "protecting" bears in the wild. Clearly our commitment to comedy is unquestioned with these choices, and we hope you don't question your commitment to subscribing to this podcast. Thanks!